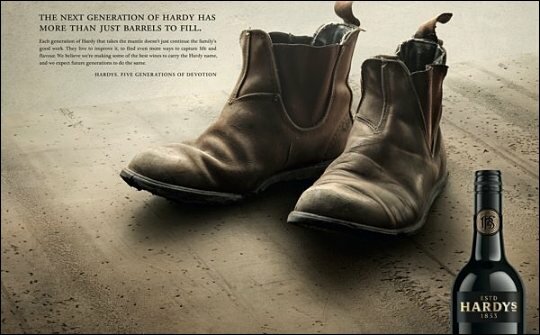 Australia’s best-known wine brand, Hardys, celebrated its 160th anniversary in style last night with Bill Hardy, fifth generation family member, unveiling new packaging and creative campaign for the brand, which emphasizes the brand’s winemaking heritage. The celebration was held in one of the City of London’s most iconic venues - The Gherkin. Bill Hardy, the brand’s wine ambassador and fifth generation family member, hosted the evening and revealed the new designs and creative campaign to some of the UK’s most influential press and buyers. 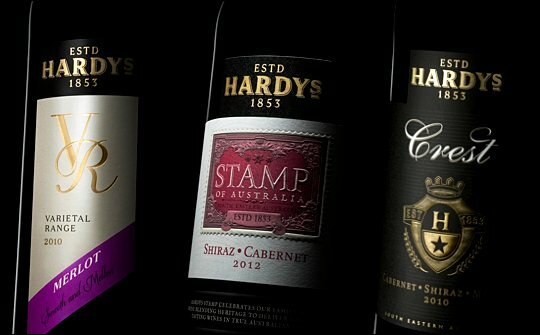 Commenting on the revitalisation of the brand, Bill, the great, great grandson of the brand’s founder Thomas Hardy said: “Few wine brands in the old and new world can boast such a long history, so it is only right that we celebrate the wonderful heritage of Hardys tonight. Our great, great, grandfather would be blown away if he knew where we are today! The evening marked the launch of the new look for the brand which, according to Paul Schaafsma, general manager UK and Ireland, “will not only give our wines stand out appeal but also reinforce our commitment to over deliver on quality at all levels”. Thomas Hardy at just 20 years old, left his home town in Devon, England, and arrived in Adelaide on August 14, 1850 to carve out his future in the newly established colony of South Australia. He bought an allotment of land on the banks of the Torrens River at Thebarton in 1853 and named it, appropriately, Bankside. In the ensuing years the land was planted with vines, fruit trees and oranges. Though most of the grapes grown were used for raisin production, some of the Grenache and Shiraz grapes were used to produce small parcels of wine in three 100-gallon wooden casks. An historical first was achieved in 1857 when Hardy shipped two hogsheads of wine to England, marking Australia’s entry into the wine export market. During his lifetime Hardy was already being acknowledged for his enormous contribution to South Australia’s burgeoning wine industry. By 1894 he was the colony’s largest wine producer, with a vintage of 315,000 gallons. Thomas Hardy passed away in 1912 leaving Australia and the Hardy family an empire that would see the name associated with fine winemaking for generations to come.